Hello everyone! I hope you are having a great weekend! Today I am sharing a card featuring one super cute Craftin Desert Divas Digital Stamp. 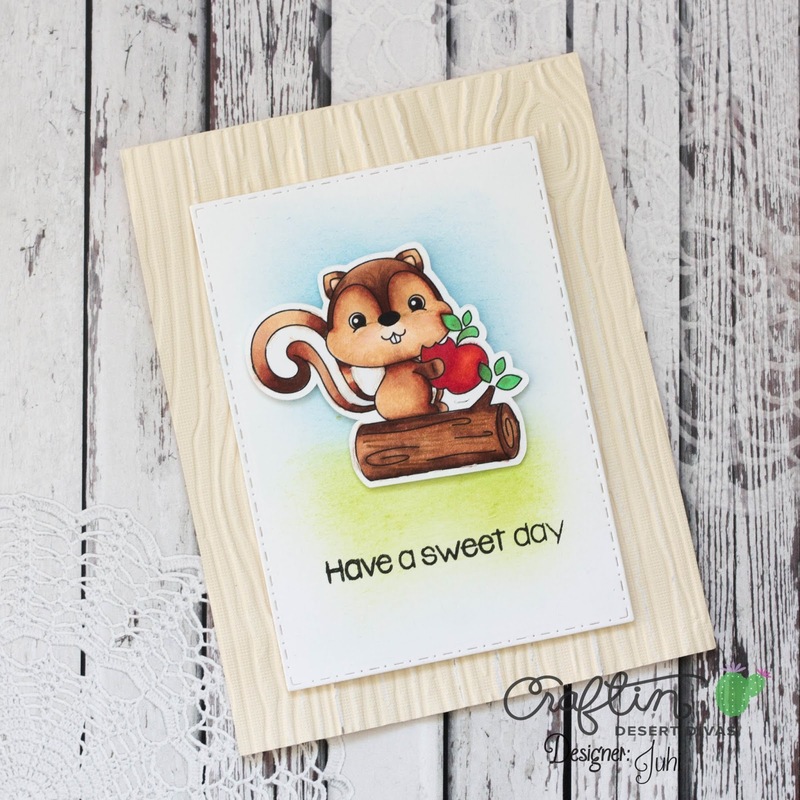 Have you checked out our Digi Stamp collection? It features a huge collection of the cutest and most adorable images! I had so much fun coloring this cute squirrel with Copic Markers. The sentiment is from the Sweet Shop Stamp set. I hope you like my card, visit the Craftin Desert Divas website for more adorable digital stamps. Thank you so much for stopping by today! Very cute! I want to try digital stamps but curious what type of printer and ink you use. Very cute. A simple design but great results.